May 10, 2014 March 1, 2016 / Rachel C.
In honor of the first episode of Star Trek: TOS (not the pilots!) and my own interest in archaeology, I thought it was appropriate to call my posts of past manis ‘Ancient Artefacts.’ It works, right? 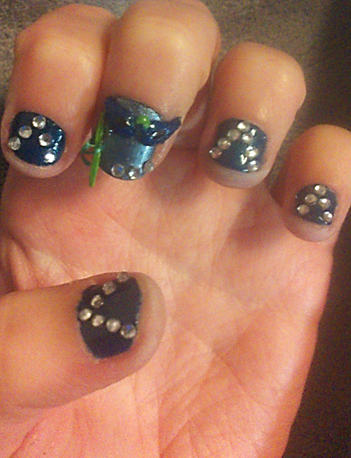 These old attempts at nails art are, overall, not so great. 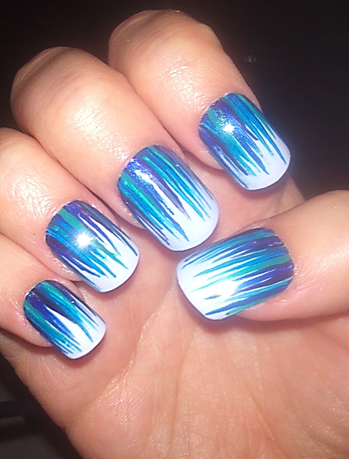 I’m not an especially creative person by nature, even if I do enjoy painting my nails, so many designs are me trying to recreate something I’ve seen somewhere else (I’ll try to give credit where it’s due, but sometimes I don’t bookmark these things). Most of these attempts are failures, but at least I have fun trying. Photography is also something I’m not great with, so I normally default to my phone’s camera. I know! I’m not supposed to do that if I want good pictures. Sue me. I’ll make myself a light box one day. Maybe. Anyway, I think I’ve got all my rambling out of the way now, so onto the rest of this pic-heavy look into some of my nail art past. Then, hopefully, onto my future! 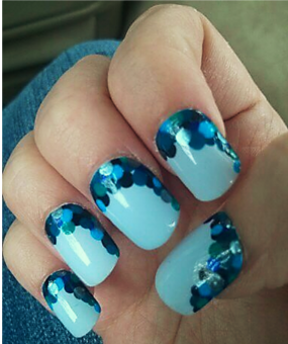 One of my first attempts at nail art was inspired by a post on The Daily Nail. 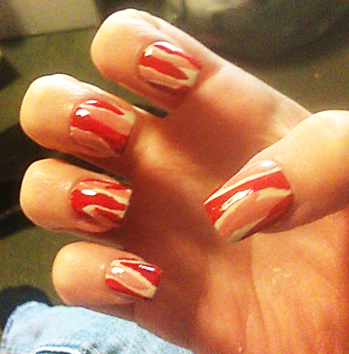 It was, surprise surprise, the bacon nails. Because how could I resist? Everyone loves bacon! (Except my sister, but she’s weird.) I had maybe ten bottles of nail polish at that point, and instead of going out and finding new useful colors, I used what I already had and ended up with pink and red bacon. Oh well. 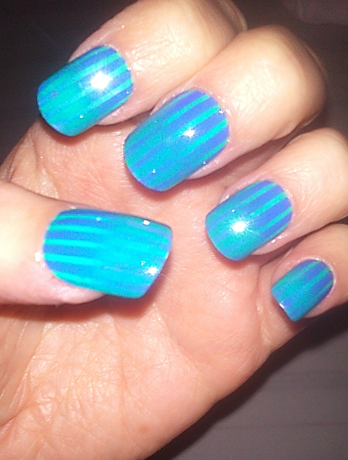 Not too bad for a first attempt though! As much as I love bacon though, I love penguins more. In a completely different way, of course. Seriously though, I LOVE penguins. Even have a pair of penguin slippers. And earrings. 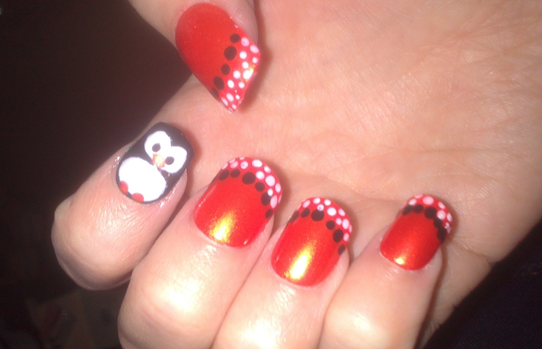 So when I decided to attempt an animal-inspired design, I naturally went with penguins. 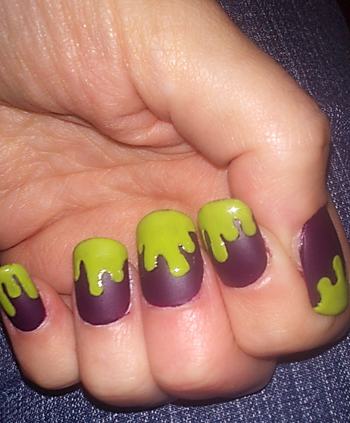 After these first couple of tries at doing nail art, there came a flood. I changed my polish a heck of a lot, and it actually got to the point where a friend admitted he looked at my nails daily to see if they were different. I’m purposefully excluding most of them, but here are a few pics from the flood. Just a note, the blue waterfall idea came from The Nailasaurus. And in the midst of this flood came a special category to which I still tend to pay special attention. Movies. 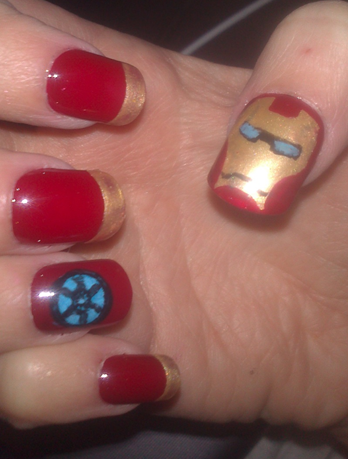 I have gotten into the habit of using a trip to the movie theater as a theme for my nails. 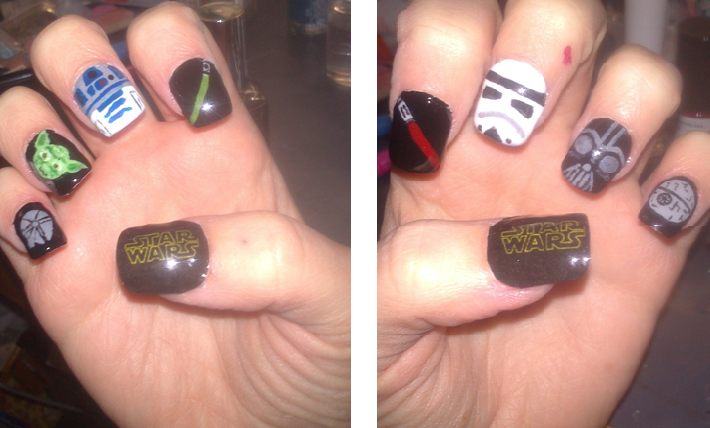 Actually, the first movie-themed manicure I did wasn’t for the cinema, but was for May 4th. And if you don’t know the significance of that day…you make me sad. 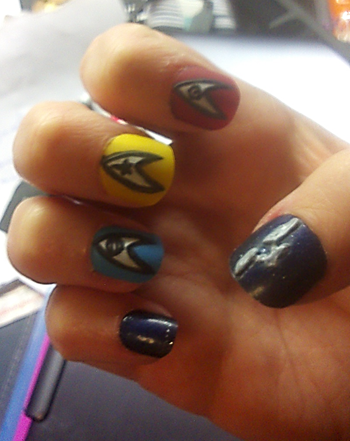 My first themed nails for the cinema were for Star Trek: Into Darkness and Iron Man 3. Well, that’s enough of that, I think. I probably should have split these pictures up a bit more than I have, but these were all from my year in England, where I was studying to get my MA in Archaeology. I’ll have another blast from the past in the next post, for a few manicures from the year or so immediately following my time in England. Because my obsession clearly followed me home.